Audio recording of a lecture delivered on September 9, 2016 by Robert Abbott as part of the Formal Lecture Series. 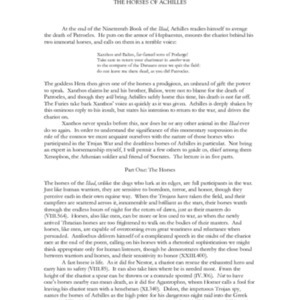 Typescript of a lecture delivered on September 9, 2016 by Robert Abbott as part of the Formal Lecture Series. 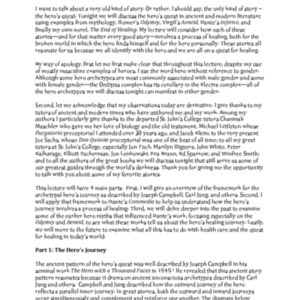 Typescript of a lecture delivered on September 11, 2015 by Jim Bailey as part of the Formal Lecture Series. Audio recording of part one of a lecture delivered in July 1972 by Stringfellow Barr entitled "The beginning of the St. John's program". Audio recording of part two of a lecture delivered in July 1972 by Stringfellow Barr entitled "The beginning of the St. John's program". 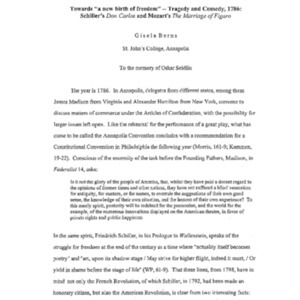 Typescript of a lecture delivered on December 4, 2015 by James Beall as part of the Formal Lecture Series. 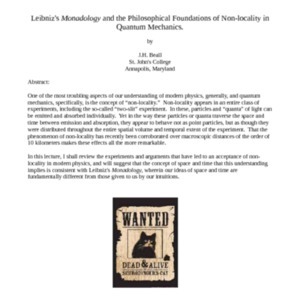 Audio recording of a lecture delivered on December 04, 2015 by James Beall as part of the Formal Lecture Series. Towards "a new birth of freedom" - Tragedy and comedy, 1786 Schiller's Don Carlos and Mozart's The marriage of Figaro. Audio recording of a lecture delivered on September 17, 2004 by Gisela Berns as part of the Formal Lecture Series. 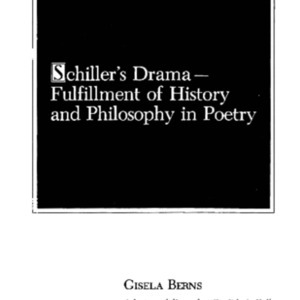 Typescript of a lecture delivered on September 17, 2004 by Gisela Berns as part of the Formal Lecture Series. Audio recording of a lecture delivered on March 8, 1974 by Gisela Berns as part of the Formal Lecture Series. Audio recording of a lecture delivered on February 26, 1982 by Gisela Berns as part of the Formal Lecture Series. Typescript of a lecture delivered on March 8, 1974 by Gisela Berns as part of the Formal Lecture Series. 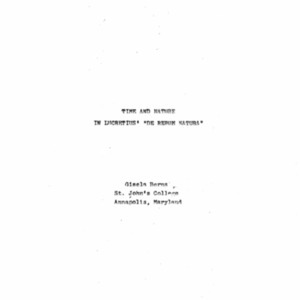 Typescript of a lecture delivered on February 26, 1982 by Gisela Berns as part of the Formal Lecture Series. 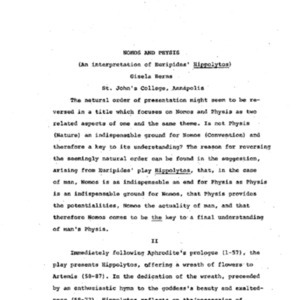 Typescript of a lecture delivered on March 5, 1971 by Gisela Berns as part of the Formal Lecture Series. Audio recording of a lecture delivered on April 14, 2000 by Laurence Berns as part of the Formal Lecture Series. Audio recording of a lecture delivered on April 12, 1985 by Laurence Berns as part of the Formal Lecture Series. 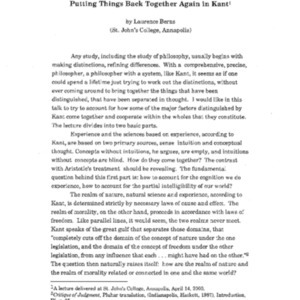 Typescript of a lecture delivered on April 14, 2000 by Laurence Berns as part of the Formal Lecture Series.